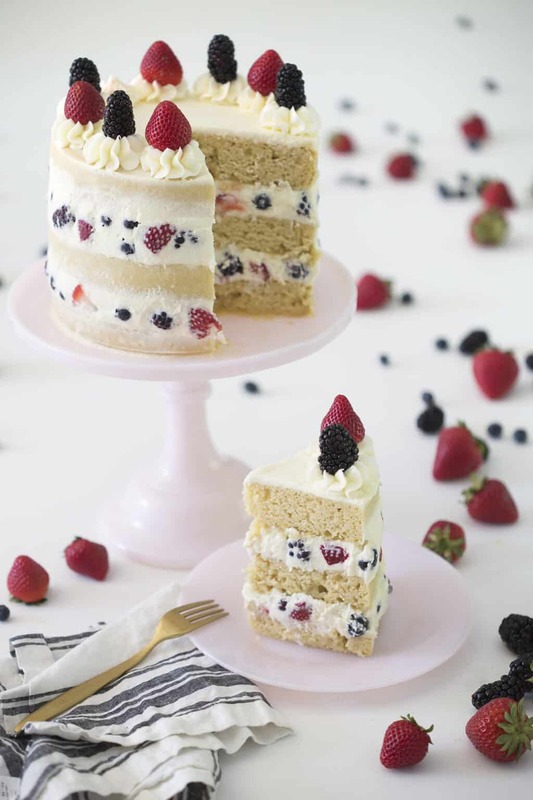 My triple berry cake is tender, moist, filled with fresh ripe berries suspended in a light whipped frosting and it’s pretty too! This is one of the easy delicious recipes made with fresh seasonal ingredients that you just need to make! If you only make one component from this cake, try the frosting out!!!! Mascarpone makes everything better! This post is sponsored by ALDI. As always, I only partner with brands that I love and truly believe in, all opinions expressed are my own. They’re one of my favorite grocers, for this post and I have to say how fun it was to shop there, I swear my dollars stretched reaaalllll far and I loved the quality of the produce! Click HERE to find a location near you! 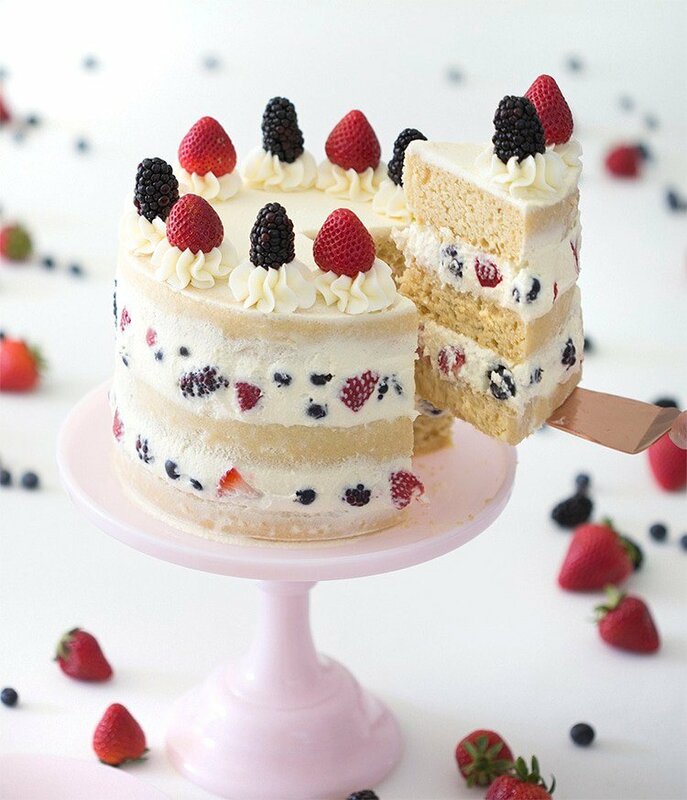 This triple berry cake is everything! 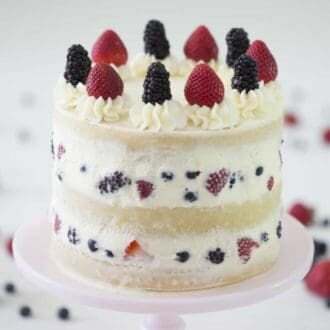 Tender cake layers floating between thick bands of light-as-air mascarpone whipped cream frosting with gorgeous ripe strawberries, blackberries and blueberries! It’s such a seasonal treat and even though this cake is massive, I guarantee it won’t last a day! If you’ve ever thought OMG that cake is just too sweet or rich then you NEED to try making a mascarpone whipped cream frosting! It’s sweet but not cloying and much lighter than a buttercream, meaning those fresh berries get to be the star of the dish! 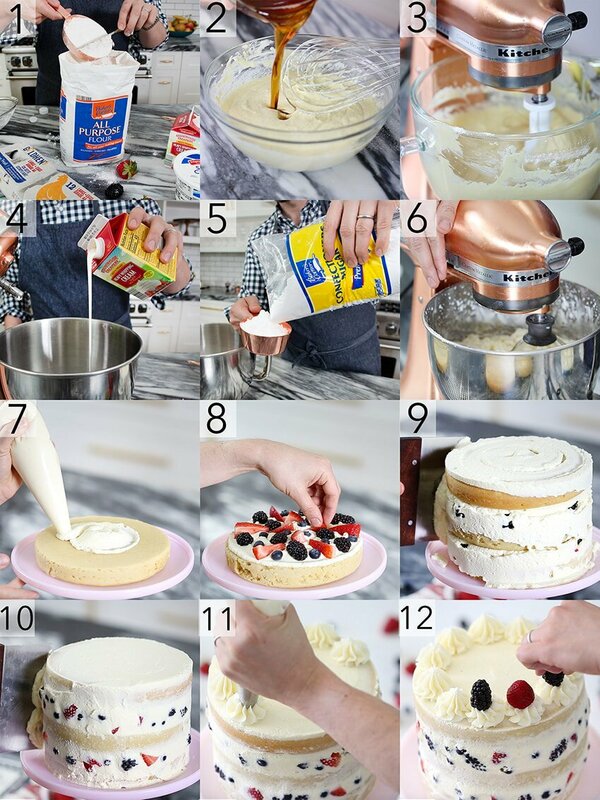 I get tons of questions regarding whipped cream layer cakes and while they are delicious, the cream just isn’t stable enough for building, but if you add the mascarpone in everything changes for the better! The taste is similar to whipped cream but the texture is more substantial. I will caution you that over-whipping this frosting will cause it to become grainy, and your cake will be best if eaten the same day. Taste-wise nothing changes but the frosting becomes a bit yellow the next day. A while back I was making a cake with a mascarpone buttercream and realized mine had expired! I didn’t have time to go to the market so I followed Nigella’s advice for a reasonable facsimile and mixed the following ingredients together until combined. Make sure they are all at room temperature! Start off by getting those ingredients together! Make sure to let everything come to room temperature. Preheat oven to 350F. Butter and flour three 8-inch pans. Add damp cake strips. Zest a lemon. Melt the coconut oil. Let it cool. Add the maple and honey to a small bowl. Heat for a few seconds in the microwave. Lighten and leaven or sift the flour. Sift the other dry ingredients together in a large bowl and whisk together. Give the sifted mixture a whisk. Make sure all the lumps are gone. Add the wet ingredients into a medium bowl and mix. Make sure to distribute the honey mixture well. Add the wet ingredients into the dry and mix well. Add lemon zest. Pour the batter into the cake pans and distribute evenly. I like to use a kitchen scale for precision. Bake for 35 minutes or until the centers are done. Add the cream to a stand mixer fitted with a whisk attachment. Whip the cream until it just starts to thicken. Add the mascarpone and beat on low, bringing the speed up to high as the mascarpone is incorporated into the cream. Add the vanilla. Beat until the mixture holds firm peaks. Overbeating can lead to a grainy texture. Add the filling to the first layer. Add more cream on top and smooth out. Add the second cake layer, and repeat steps then add third layer, cover with frosting and smooth out. Push berries into the filling on the side of the cake then smooth out with an offset spatula and a bench scraper. Hull some strawberries. Pipe dollops of cream on the top edge with a large star tip. Top each dollop with blackberries and strawberries. 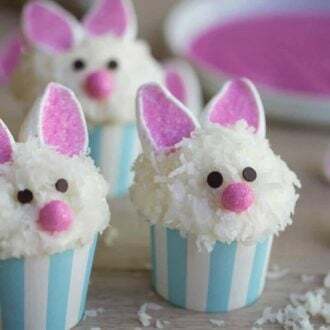 If you’ve tried this cake out then don’t forget to rate the recipe and let me know how you got on in the comments below, I love hearing from you! 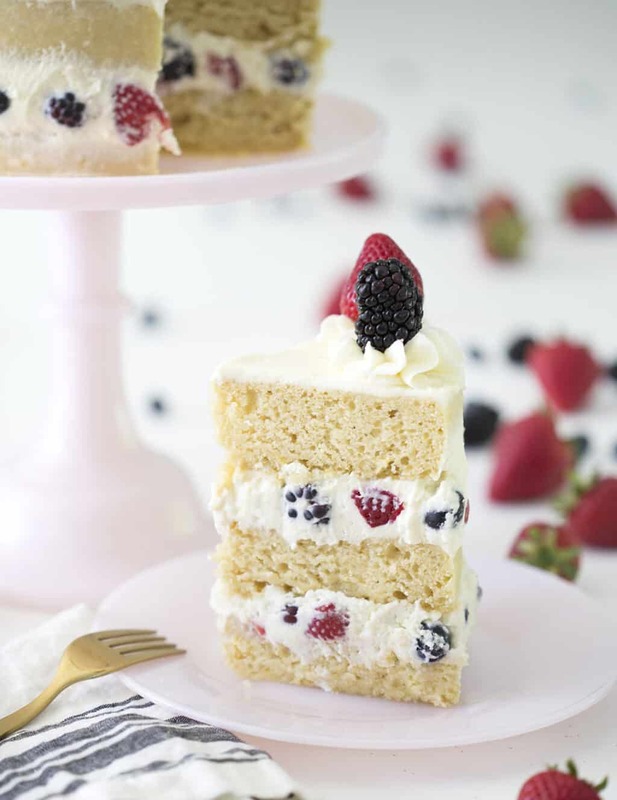 The most delicious triple berry cake filled with a dreamy and light mascarpone whipped cream frosting. 2 cups strawberries 16oz, chopped, reserve 5 for top. Preheat oven to 350F. Butter and flour three 8-inch pans. Add damp cake strips. Zest a lemon and set aside. Melt the coconut oil. Let it cool and set aside. Add the maple and honey to a small bowl. Heat for a few seconds in the microwave. Lighten and leaven or sift the flour. Sift the other dry ingredients together in a large bowl and whisk together. Give the sifted mixture a whisk. Make sure all the lumps are gone. Add the wet ingredients into the dry and mix well. Add lemon zest. Pour the batter into the cake pans and distribute evenly. I like to use a kitchen scale for precision. Bake for 35 minutes or until the centers are done. Add the mascarpone and beat on low, bringing the speed up to high as the mascarpone is incorporated into the cream. Add the vanilla. Beat until the mixture holds firm peaks. Overbeating can lead to a grainy texture. Add the filling to the first layer then cover with berries. Add more cream on top and smooth out. Add the second cake layer, and repeat steps then add third layer, cover with frosting and smooth out. Push berries into the filling on the side of the cake then smooth out with an offset spatula. Pipe dollops of cream on the top edge with a large star tip. Top each dollop with blackberries and strawberries. This cake looks deliciously amazing! I can’t wait to try it out! Thanks for the new recipe! You’re very welcome! I hope you love it as much as I did! That nearest Grocery Store is in Bakersfield( 5hours away!) Gotta love living in the Mountains😔 On a brighter note, I am going to make this sometime this week! It just screams all the things my family wants in a cake! I can’t wait for you to try it! It’s delicious! Can I substitute butter for the 1/2 cup SimplyNature Organic Coconut Oil, melted and cooled 120ml??? I just can’t do coconut oil. Vegetable oil is a good substitute in this recipe! Hope you enjoy! I’ve never tried this hack, but you can make mascarpone from cream cheese! Hope you love the cake! Mascarpone is always refrigerated and can usually be found near the cheeses (the fresh mozzarella section at my store) and sometimes near the sour cream in smaller stores! If i don’t have sour cream? How do i get it? I lived in Peru. Thank you! Use plain yogurt instead of sour cream! Hope you love the cake! I have a doubt, wich flavor could be? Or did you mean organic yogurt? 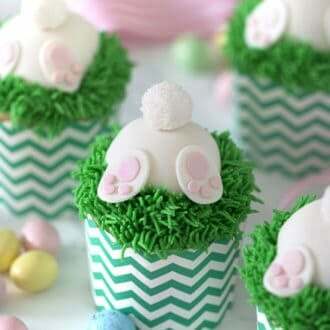 I’m looking for a less sweet, tasty cake recipe for my baby’s 1st birthday. 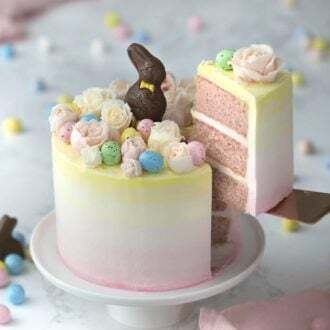 Do you think it would be a sin to coat this cake in normal buttercream, so that it has the mascarpone filling on the inside, but buttercream on the outside? That way I can decorate it a bit more fun and colorful for a 1st birthday, but not have it so sweet on the inside. That would be a great alternative! Make sure to chill the cake so that the mascarpone is stable! 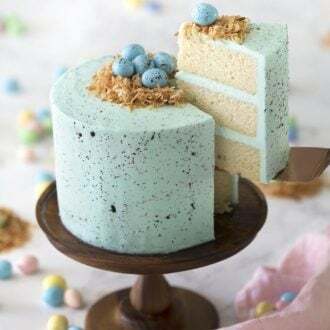 I would also cover it in a thin buttercream crumb coat! I hope you enjoy this cake! I’m so glad you like it! Hope you enjoy! Just wanted to let you know this icing is the “Bomb”! I used it with a chocolate ganache and cherries on a Black Forest Cake and it was terrific. Everyone loved the icing and I had no leftovers to bring home. 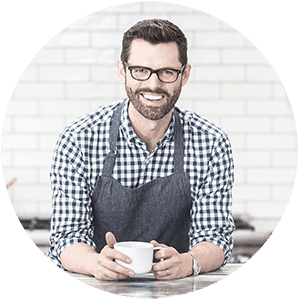 Thank you for all your hard work and the terrific recipes you send us – I have made a lot of them! I’ll try the berry cake next. My 13 year old son is baking this cake today! I’m the dishwasher!!! 🙏🏻🙏🏻🙏🏻 It comes out lovely!! Awesome! Let me know how it goes!! Very exciting! I’ve made this cake twice in three weeks. Easy peasy and SO DELICIOUS! It’s a beautiful presentation for berry season. Thank you for the recipe. I’m so happy you liked the cake! Berry season is the best! Can you please give me some advices on storing baked cakes? I like to keep my cakes under a cloche at room temperature! You can cover it with plastic and transfer to the fridge, but it’ll dry out a little faster! I have used a few of your recipes successfully, but this one did not taste good at all. I’m 100% certain that I did something wrong, but it completely lacked sweetness. The texture was very dense like a pound cake, but the taste was like paste. The frosting was amazingly good and the cake turned out very pretty. Any ideas on what I must have done wrong? I used an All-Purpose Flour. This cake is on the denser side! If you want it to be sweeter, use granulated sugar instead of honey or maple syrup. You could also use cake flour instead of all purpose! 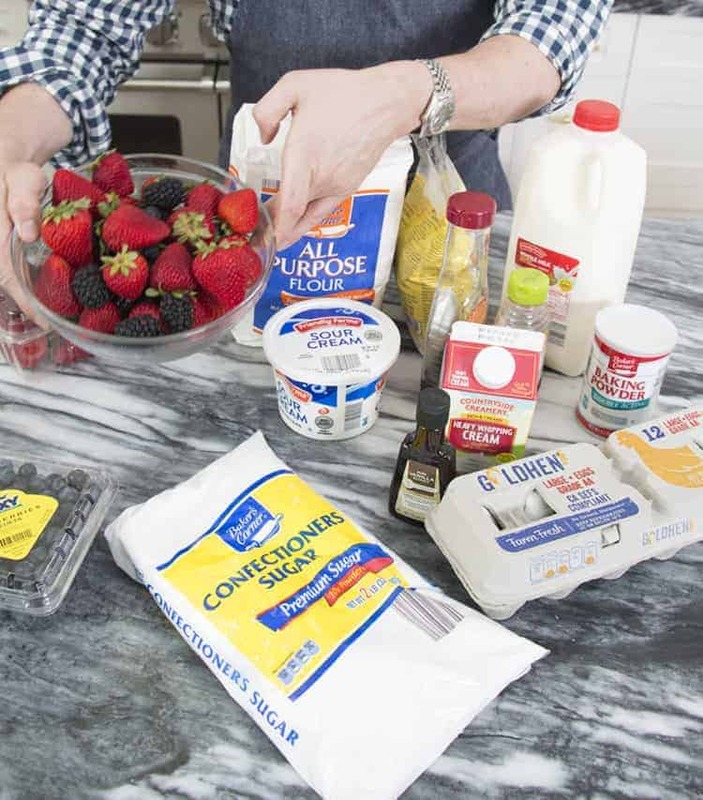 Hi John ~ I made a chocolate cake and used this berry/mascarpone frosting combo. Total hit with the group that I served. Rave reviews all around! There was some frosting leftover so that evening I mixed berries with some frosting in a bowl ~ we loved it! Yummy without being too sweet. You could substitute the almond flour for coconut flour if you have it! Hi John! I’m excited to make this cake for a birthday celebration this weekend! Can I find the almond flour , marscapone, honey and maple at Aldi’s? I’m so happy you’re making the cake! I’m not sure, I do not have an Aldi’s but I would imagine so. Hi! If I want to use two 9 inch pans, can I keep the same measurements as three 8 inch pans? Hi there, can I make this cake as an eggless cake? If so what can I use as the substitute? Although I have not tried it myself, I hear bananas, applesauce and buttermilk are great egg substitutes. First… I love love LOVE your videos! Thank you for sharing all your ideas, tips, tricks, and humor, and especially bloopers like the powder sugar bomb! Yes, you have gone international as I live in the Netherlands. Second… is the lemon zest a necessary ingredient in the frosting ir is it just a flavoring? Yeah, weird allergy here, absolutely No citrus oil (pasteurized juice is fine)… is it Okay to just add a teaspoon or so of juice Instead? I know the flavor will not be as perky. Hi Grace! You can definitely skip the zest then and add that juice. Happy Baking! Love all your beautifully decorated and delicious cakes. Recently made your strawberry cake and everyone loved it! Can you share how to scale down this berry cake for three 6 inch pans? Also, what would temperature and time be for 6 inch pans? Thank you! Same temp, and I think maybe halve the recipe for 6 inch pans.